My set of shots from the industry section is far from complete, so here I’ll refer you to the excellent coverage provided by Akiba Blog, Midareuchi, and Moeyo! 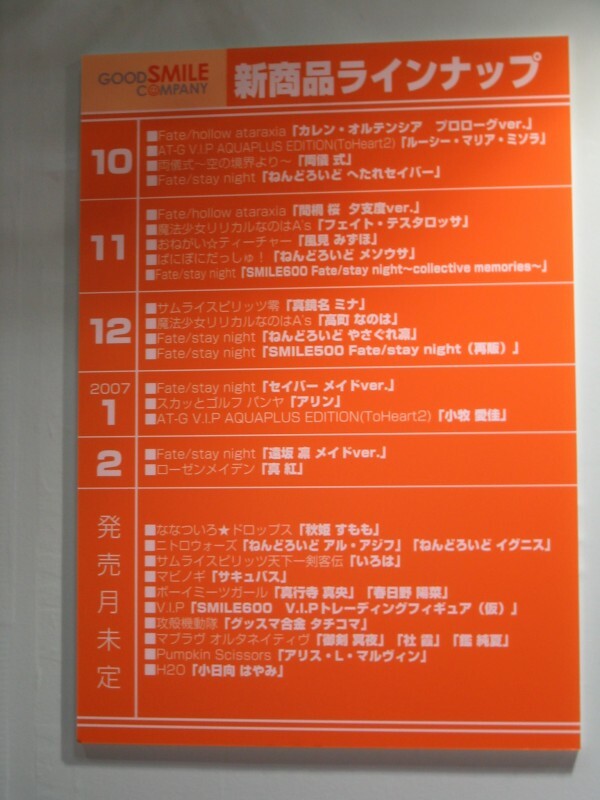 (the latter also including items from Max Factory and the combined Goodsmile/Max Chara Hobby booth). Have a question about any of the items listed here? The comments section (and forums) are open!